Ravi Chopra, President & CEO – Ravi is the firm’s founder and remains responsible for overseeing the various activities of The C/N Group and its affiliated entities. Prior to founding the C/N Group in 1980, Ravi served in various executive management positions in the steel industry, including Chief Industrial Engineer for Youngstown Steel (now International Steel Group) and Director of Engineering Services for Wisconsin Steel (now Envirodyne Industries). Ravi holds a BSME from Punjab Engineering College, Chandigarh, India; MSIE from Oklahoma State University, Stillwater, Oklahoma, and MBA from Xavier University, Cincinnati, Ohio. Raman Chopra, Principal – Rum has a variety of operational and business development responsibilities, including overseeing the firm’s diagnostic imaging and hospitality operations. Additionally, he oversees all marketing and technology related activities. Rum also served as an independent director for private equity firm Banyan Enterprises, LLC from 2007-2010. In addition, he is also a co-founder of OpenMarkets (www.openmarketshealth.com), a company that facilitates substantial group buying opportunities within the healthcare industry for capital equipment. Rum holds a BS in Economics and an MBA from Southern Methodist University. Rajiv Chopra, Principal – Raj has a variety of operational responsibilities for various projects and businesses currently managed by the firm including its ambulatory surgery and real estate operations. Additionally, Raj oversees the finance and accounting function for the C/N Group and its affiliated entities. Raj has prior work experience in the Banking and Management Consulting industries. Before joining the C/N Group, Raj was a Principal Consultant in the Strategic Change practice of PricewaterhouseCoopers Consulting. Raj holds a BBA in Finance from Southern Methodist University and an MBA from the J.L. Kellogg Graduate School of Management at Northwestern University. He currently serves on the Alumni Board of Culver Academies. Thomas Faith, Vice President of Healthcare Operations – Joining The C/N Group in 1986, Tom is responsible for managing all Healthcare and Real Estate assets in Western New York. With nearly 40 years of administrative experience in the healthcare industry, Tom has worked both in the private and public/academic sectors within healthcare administration. He sat on the National Policy Development Committee of the National Association of Public Hospitals and is a fellow of the National Public Health’s Hospital Institute. Tom has also served as the President of the New York State Association of Ambulatory Surgery Centers since 2012. Tom holds an MS in Hospital Administration from the University of Missouri and a BS in Biology from St. John Fischer College. James Odom, Corporate Controller and Vice President of Development-Hospitality – Jim oversees all accounting, financial analysis and billing & collection functions for The C/N Group’s healthcare and hospitality operations. Prior to joining the organization in 1998, Jim was Controller for a hospitality development and management company with more than 800 keys within its portfolio. He holds a BA in Economics from SUNY at Buffalo. Michele Cecere, Human Resources Manager – Employed by the firm since 2008, Michele is responsible for all aspects of personnel management within all company operations. She has served in various HR capacities within the healthcare and banking sectors for more than 20 years. Michele also holds a Human Resources Certification from Cornell University. Elaine Sarkis, General Manager – Elaine joined the organization in 1997 and possesses over 30 years in the full-service hotel industry. Elaine has managed numerous hotels as well as overseen the development of many new-build projects. She is currently the General Manager of the firm’s Doubletree property in WNY and also assists in assessing prospective hospitality acquisitions. 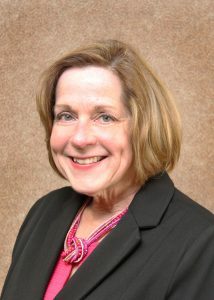 Elaine has also served on the Executive Board of the Buffalo Niagara Hotel Association since 2011. Christopher Ellis, General Manager – Chris is currently the General Manager of the firm’s Hampton Inn property in Cleveland, Ohio. He has spent his entire career in hospitality, most recently with the Oakwood Hospitality Group. Throughout his 20 year career he has overseen the development of several new-build properties as well as handled overall operations for several properties. Chris joined The C/N Group in mid-2015 after the property was acquired from his previous employer. 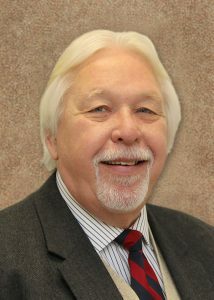 He has been active within the community and hospitality industry, including serving as Board President for the Brooklyn, Ohio Chamber of Commerce as well as the Streetsboro, Ohio CVB. Chris is a graduate of Akron University and holds a BA in Hotel Management and Finance.